Canada’s uranium helped end the second world war and armed the next, the Cold War. An exploration frenzy swept the western world and mining magnate Gilbert LaBine’s new discovery at Gunnar Mines attracted attention across North America and beyond. Gunnar’s 800 residents—immigrants fleeing post-war Europe, job-seeking southerners, and the area’s First Nations and Métis—found adventure, romance, tragedy, and a freedom never again to be equaled. Meanwhile, lamps made of uranium drill core sat in their homes and their children played at the tailings pond. Sun Dogs and Yellowcake is their story. I’m pleased to announce that I’ll be presenting a talk with slide show about Gunnar Mines, uranium, and my book Sun Dogs and Yellowcake in Nanaimo, BC. at 3 pm. on February 6. Hope you can join me. I confess. This is not a ghost story, but another story from the ghost uranium mine – Gunnar Mines, Saskatchewan. The residents left Gunnar over fifty years ago. The mine is long gone. The buildings have disappeared – sold and shipped on the lake to Fort McMurray or Uranium City when the mine closed, or demolished as part of the cleanup in 2011. Even Uranium City people, itinerant fishermen, and hopeful geologists can no longer access the site. Sunset before Gunnar’s sunset. Courtesy of the Cooke family. But more than fifty years of stories still knock at my door. The latest is from Kelly Nelson who spent eleven weeks at the vacated town in the summer of 1978. He was a draftsman for a technology company. My first thoughts of the site when I arrived was, what a dump; not that there was much trash lying around, but it wasn’t the well-kept small town I grew up in (Unity, SK). By the time I left, I had completely flipped that around and was sad to leave as I found the place so interesting, between the mine-site and the geography with the huge rock outcroppings, trees growing out cracks in the rocks and so on. The fishing was great. I think we pioneered barbless fishing as we knew what was going to happen, so we’d just catch and release. For three weeks in the middle of summer we stopped fishing because it was boring! Also, the cook would do a fish dish for us only once every 10 days due to the natural mercury in the water. Eventually we ran out of hooks. I was the only one in the crew who didn’t catch an Arctic Grayling, as much as I tried. I got lost while fishing. One evening I walked west of the west townsite on a trail that paralleled the lake shore. I fished for about three hours and when I started walking back I headed to the trail. After a really long time I came to the lake shore again and was completely dumbfounded. By then I could make out the mine site from the shore, so I just followed it back home. I realized I had walked in a large arc and learned how easy it was to get lost. I wrote my brother that night and asked him to send me a navigation compass. Reading outside at midnight on June 21 – that seemed so bizarre to me, but so neat as well. I still remember the book – Helter Skelter by Truman Capote . I agree with the people in the book who suggested Gunnar imparted a sort of mystical sense of peace. We had no TVs and no music radio, only five cassettes (the Grease soundtrack, an ABBA tape, Willie Nelson and Waylon Jennings, Linda Ronstad, and one other I no longer remember), so the forest provided most of the sound we heard. I must say to this day I feel completely at ease in any forest, and I think my time at Gunnar played a role in that. Thank you for writing the book; even though my time in Gunnar came half a generation after it was abandoned as a mine and settlement, it remains a most memorable part of my life. I quite enjoyed the book; I think you did a very good job of writing it – explaining the background for how the company and townsite came to be, life there, and the follow-up. For a subject that could have been dry, to me it was very interesting. You appear to be an accomplished and experienced writer. To learn more about /my book Sun Dogs & Yellowcake about the ghost uranium mine, Gunnar Mines, click here. To follow me on Facebook, click heree. Voice: Who should tell your story? Using her own memories and the stories told to her by over 150 people who lived in her hometown in northern Saskatchewan, Patricia Sandberg has penned a dramatic illustrated work of narrative non-fiction. Sun Dogs and Yellowcake – Gunnar Mines, a Canadian Story. This book dramatizes the Cold War era when raw uranium from was casually handled by adults and children, who were unaware of the dangers of radiation. Still, most residents said it was the best place they ever lived. 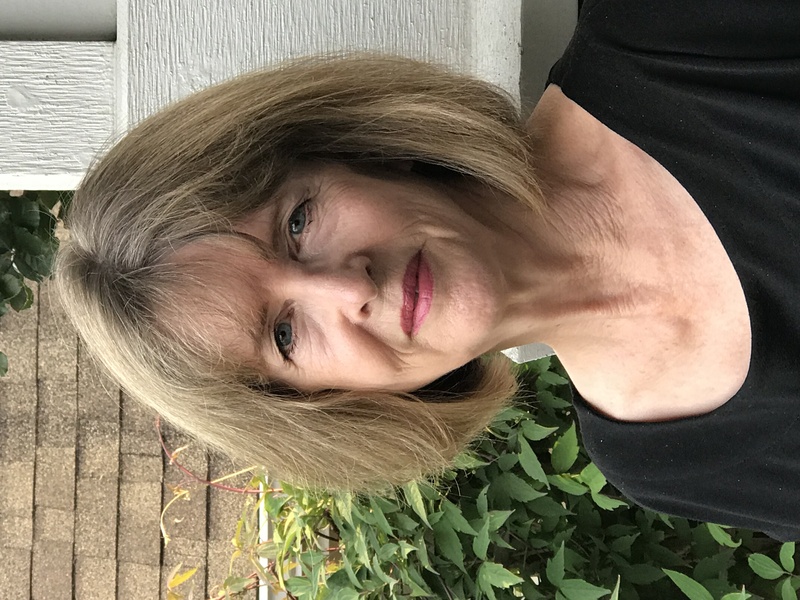 Patricia’s talk will be about the voice she used to tell the story and how that carries into the self-publishing decision she made. She will discuss how self-publishing can be a great option and sometimes the best option. A former mining and securities lawyer, Patricia is now working on a novel. Sun Dogs and Yellowcake has won two international awards, was shortlisted for the Canadian Authors Fred Kerner award, and was a finalist for Whistler Independent Book Awards 2017. More details here. Meeting Location: BC Alliance for Arts + Culture, Suite 100 – 938 Howe Street, Vancouver, BC. Information on Canadian Authors Association – tiveMetro Vancouver (Including Victoria) here. For information about the #CanWrite19 writers’ convention in Vancouver May 16-19, 2019, click here. Leave a comment on Voice: Who should tell your story? Gunnar’s reclamation woes means that I focus a lot of attention on its current state. When I lived in Gunnar Mines in the 1950s and ’60s on the banks of St. Mary’s Channel (off Lake Athabasca by a pinch), it was a halcyon world. Forty years later, I learned that it – my home town – was a contaminated site. Gunnar a ‘protected place’ under the Atomic Energy Control Act. The objective of the Gunnar reclamation is to eliminate or reduce human and ecological impact so that traditional use of resources next to the site can continue safely. Full disclosure: I earned my living as a mining and securities lawyer. Second full disclosure: mining makes this world go round. Try to think of one thing you possess or do that is not connected to mining. Everything is made with, made of, transported by or otherwise involves minerals. And no mining occurs without some impact on the earth. Unless we go back to the stone age, we are going to mine. I wrote Sun Dogs and Yellowcake to celebrate the magical life that most people enjoyed in Gunnar. But I knew I could not write it without discussing the aftermath of the uranium mining conducted there. Here are the bare facts. The mining was conducted in great haste and under considerable secrecy. The federal government promoted the mining in order to supply the United States with uranium during the Cold War. Northern Saskatchewan was wilderness and Canada had a lot of wilderness – what did a mine and its residue matter in such a remote area? No significant environmental rules governed the mine’s operation or closing save one decision regarding the open pit which did more harm than good. At closing, the mine moved out or sold only some houses, machinery, the Johnny B tug and barges, and the DC-3 plane. Subsequent visitors found coffee cups left on tables, clothing in drawers, personnel information in office cabinets. Mine buildings, machinery, the school, recreation centre and hospital remained to slowly deteriorate over the years. The headframe stood as monument to the town until demolished in 2011. In the early 2000s, Saskatchewan undertook the reclamation of the site as the company that owned the mine ceased to exist decades prior. Saskatchewan is now suing the federal government for not paying its share of costs. The original agreement between them contemplated costs of just under $25 million. Costs are now estimated at $280 million. The site will never be perfect but the reclamation can achieve its objective and reasonable success. Why can’t they just get it done? Here is my interview on the John Gormley Live show regarding this. The Gunnar Mines headframe stood for more than 50 years after the mine closed, beckoning to all who passed by. I have been reflecting on the two years that have passed since publishing Sun Dogs and Yellowcake – two years today. Publishing your first book is an incredible joy. What you don’t realize when that moment arrives is that a book has a much larger life than what it contains within its pages. Here is what Sun Dogs and Yellowcake has delivered for me. Re-connection to a ‘time and place’ and to the people who resided in Gunnar. People who had lost contact with their friends for more than fifty years have rekindled their friendships and memories. I have had the joy of reuniting with old friends and making many new ones. Preservation of the history of the small northern town of Gunnar Mines and honouring a former way of life. Its history was told best through the words of its inhabitants. And people with no connection to the area have shared and appreciated this history because of what it reveals about who we are as Canadians. Recognition of the significance of mining, an industry that helped form this country. Mining, including the production of uranium, continues to be a key part of Canada’s growth. Realization that the Canadian mining industry has a treasure chest of fabulous tales that unfortunately are being lost to time. I recall a dinner following the closing of a financing. The president and chief executive officer regaled us with adventures from a lifetime in mining. This was only a small sampling of stories that will likely never be told. Celebration of the small stories that together chronicle our lives. A narrative that shows where we have come from so we understand where we are. I did not have many expectations for this book about a little town in the middle of nowhere, in a time no one remembers. I initially thought it would appeal only to its former residents. It has surprised everyone. It has won awards, received significant publicity, and been appreciated by a broad audience. The headframe in the photo above marked Gunnar’s existence and its passing. I like to think publishing Sun Dogs and Yellowcake has brought not just the town, which closed its doors in 1964, back to life, but also the era. For me personally, publishing has opened up a new world, for which I am very grateful. The stories continue to roll in. Tomorrow, a man who lived in the neighbouring community of Uranium City shares his adventures. This time, I will be a teller of a short tale. I won’t be reading from my book Sun Dogs and Yellowcake but instead from a new short fiction piece! I am very excited to be able to share my story Paint him a wink. I hope you can join me! Thanks to the Royal City Literary Arts Society for the invitation! Sorry to say the organizers have had to cancel this event. They do plan to hold it at another time, so please check back! I am so pleased to have been asked to present at a writers’ conference October 27-28, hosted by Judson Lake House Publishers and the Mennonite Heritage Museum. Highlighting the event is renowned Canadian author Rudy Wiebe whose presentation is Re-Membering Ourselves: Every Life is a Story. I will deliver a seminar from 9:15 to 10:30 a.m. on the 28th about conducting research for a historical piece, drawing on the experience of writing Sun Dogs and Yellowcake. I will also be participating in a panel from 10:45 to 12:00 a.m. Editing and Publishing Your Story. But this is not just about me! There are several other authors presenting on such topics as “unravelling the Mystery,” Illustration, Fiction and Short Story Writing, Memoirs and Histories, Theatre and Poetry. A number of writers will be reading from their works. Very pleased to share the stage in Kelowna with my husband Bob Mackay – a two-time award-winning author – we will talk about our books and the independent and traditional publishing routes.